Maintaining a technical blog helps you learn more and gain a deeper understanding of whatever topic you choose to write about. It contributes a valuable resource to the programming community and it gets your name and work out there into the world––a great thing to show potential employers. And on top of all that, it's fun! Imagine––you're pretty early on in your journey to learn to code, and you're stuck trying to figure out how to iterate over a nested hash (it's hard!). You've tried solving the problem a million ways and you're just stumped. So, you take to Google! 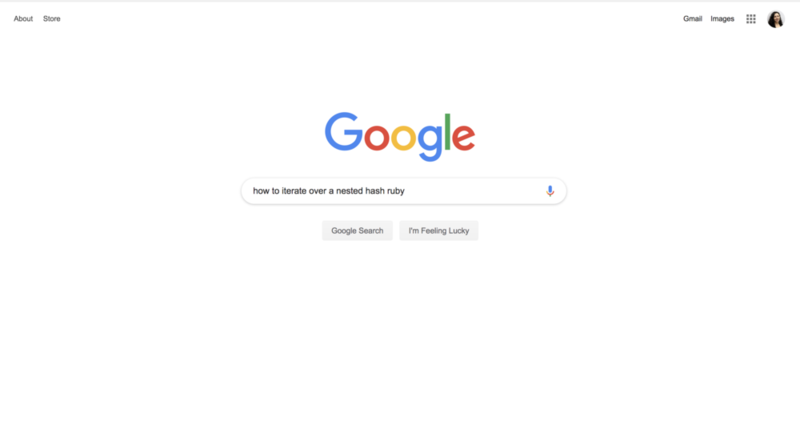 You browse the results for a bit and click on an article that seems promising: "Nested Arrays, Hashes and Loops in Ruby". You've landed on a technical blog post written by someone just like you––someone learning how to code! The clear, concise instructions and examples finally get you to understand what you need to do. You solve your problem and feel good about yourself. Another scenario––It's a few months down the line and you've recently started your first dev job. You've been asked to work on your company's new API. The API will be secured with JWT and Devise. Oh no! You've never worked with either of these technologies before. So, you head to Google. You select one of the several blog posts on Medium that dig into this topic and follow a walk-through of setting up your Rails app with JWT and Devise. Pretty soon, your API endpoints are up and running and you're even teaching your teammates how it all works. These are just a couple of the many many times in your career as a student and developer that technical blog posts will help you learn more, solve problems and fix bugs. Technical blogs are an invaluable resource to the engineering community and they are written by...people like you! Students and junior devs blogging about what they're learning have produced some of the most helpful posts that I've ever come across, and I'll often find myself coming back to such posts again and again––whenever I need to solve a particular problem. One thing that students and even junior devs will often say is: "I don't have anything to blog about! ", or "No one would be interested in X topic, it's too easy!" Not to be too blunt but, these sentiments are 100% wrong. Any single thing you are learning would likely make a great blog post. From the super short "Today I Learned: How to X", to the longer, more in-depth walkthroughs of problems you've solved or things you've built, simply sharing your understanding of what you're working on is bound to provide a useful resource to someone struggling with the same problem down the line. Not only will the posts you write provide a helpful resource to countless other people over time, but they will help you gain a deeper understanding of whatever topic you choose to write about. Consider what happens when you sit down to write a blog post. You have to dive deep enough into the topic to explain it to your reader. You have to review work you've down and problems you've solved and think them through again as you write about it. Through this, not only do you learn more about a given topic, but you actually take a step back and realize how much you've learned. This is such an important aspect of blogging, especially because its easy to get overwhelmed by how much you still don't know, instead of rewarding yourself for how much you've learned (which is a lot, by the way). Now that you are thoroughly convinced that you need to start a technical blog, let's talk about how to do it. There are a number of blogging platforms to choose from. 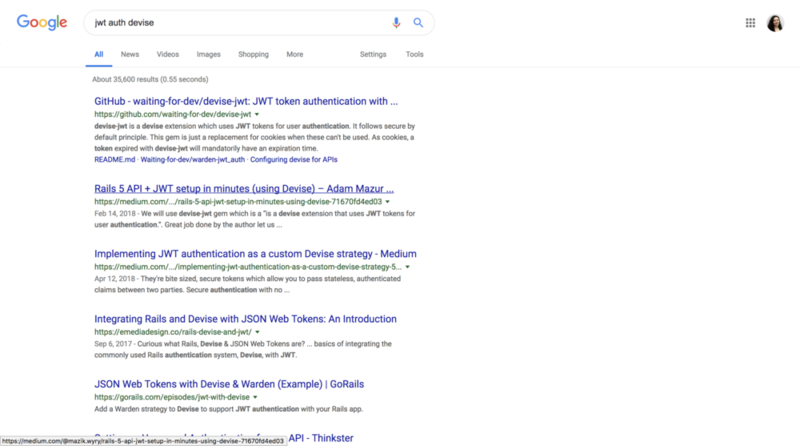 You could set up an account on Medium or Ghost, you could host your own blog using Jekyll and GitHub pages (slightly more work-intensive for you), or you could publish your posts on the Dev.to platform. Where you blog is less important than just doing it at all. Pick the option that feels like a good fit for you and get blogging! So, you've set up your blog and you're excited to start writing. But wait! What on earth should you write about?! Coming up with topics can be tough, but there are a few suggestions that can help you get started. There is really just one rule of thumb when picking a topic: Don't over think it! Your topic doesn't have to be unique. Sure there may be other posts out there on that topic but that doesn't mean your perspective isn't valuable and that writing about it won't help you learn. Your topic doesn't have to be complicated. Any little thing you've learned or struggled with would make a great topic. Try asking yourself: "What did I find difficult this week? What do I wish I knew at the beginning of the week?" The answer to this question usually makes a great blog post. Starting a blog is easy, it will help other programmers by providing them with resources and it will help you learn. On top of all that, it impresses potential employers. But figuring out what to write about can be tough. Start small and don't pressure yourself to make it perfect. The more writing practice you get, the easier it will be to write––just like learning to code! Get started blogging, and pretty soon you'll be a blogging pro.